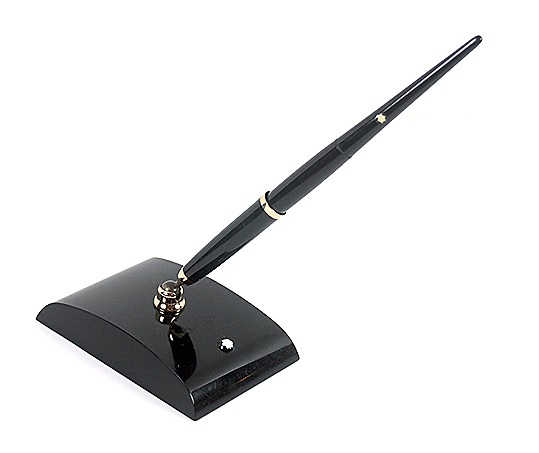 A lovely 1954 Montblanc 204 Desk Set in black – perfect for your desk, and a very classic, timeless look. The front and back are rounded; sides slant slightly inward. Base has “DUWAG” Logo (“DUWAG AG” – large German rail car company) lightly engraved between the star and the trumpet. The nib is ideal for a desk pen – a 14K ”Wing” nib in fine, which is useful for quick notes, and fast drying. Is this set still available?